The National Weather Service has issued a wind chill watch in the area starting Tuesday evening and ending on Wednesday evening. According to weather.com, the National Weather Service issued a wind chill watch on Monday and is expecting bitterly cold air to filter into central and southwest Ohio starting on Tuesday evening and lasting through Wednesday evening. Overnight lows are forecasted to range from around zero to the “teens” below zero. Due to winds, the temperature will feel like negative 30 degrees, which according to the National Weather Service can cause frostbite in as little as 30 minutes to exposed skin. High temperatures will remain around zero. Winds are expected to blow around 20 miles per hour or more throughout the next two days. The coldest of these wind chills are anticipated for Wednesday morning and early afternoon. No precipitation is currently expected. For Thursday, winds will slow down to be anywhere from 5 to 10 miles per hour throughout the day with a high of 14 degrees and a low of 11 degrees. Variable clouds with snow showers are currently predicted by weather.com Thursday with the chance for about one inch of accumulation. A warm-up in temperatures should begin on Friday as they rise to a 28 degree high and 23 degree low, according to weather.com. Morning snow showers are also expected, but accumulation will be sparse. In the evening, clouds should clear late and winds will blow at 5 to 10 miles per hour. Despite the expected rainfall this weekend, the temperatures should make everyone feel a bit warmer. For Saturday — and the next two days — the low temperature should not drop below 35 degrees and the high could reach up to 40 degrees. For Sunday — which has a 60 percent chance of rain — the temperatures are forecasted at a 51 degree high and a 45 degree low. Monday should continue the warmer trend with a 56 degree high and a 38 degree low with a 40 percent chance of rain, according to forecasts. 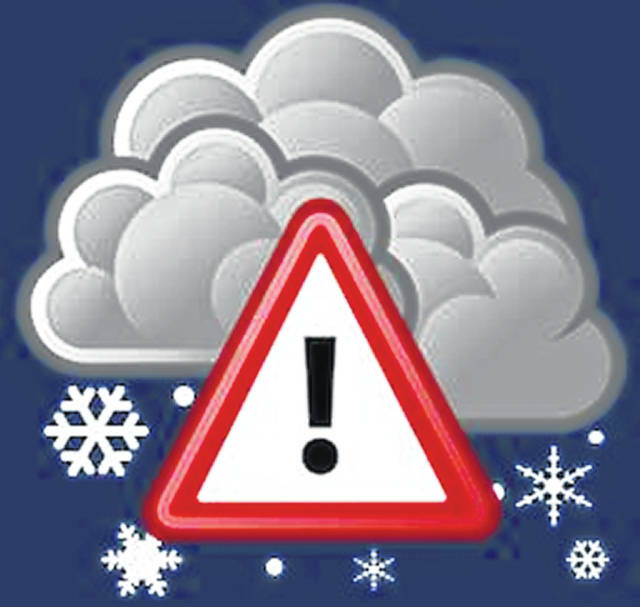 Stay with the Record-Herald for more on potential winter weather in Fayette County.